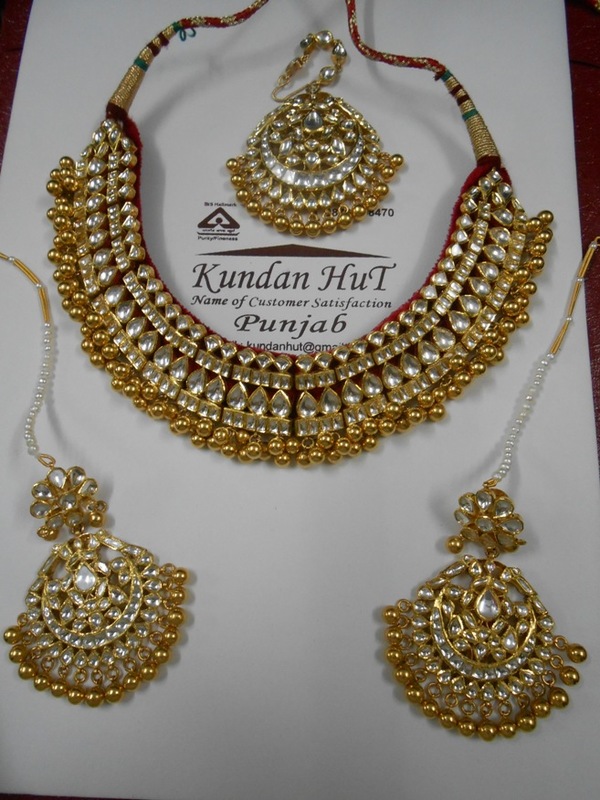 Kundan is the most refined form of jewelry worn by Asian women for centuries. 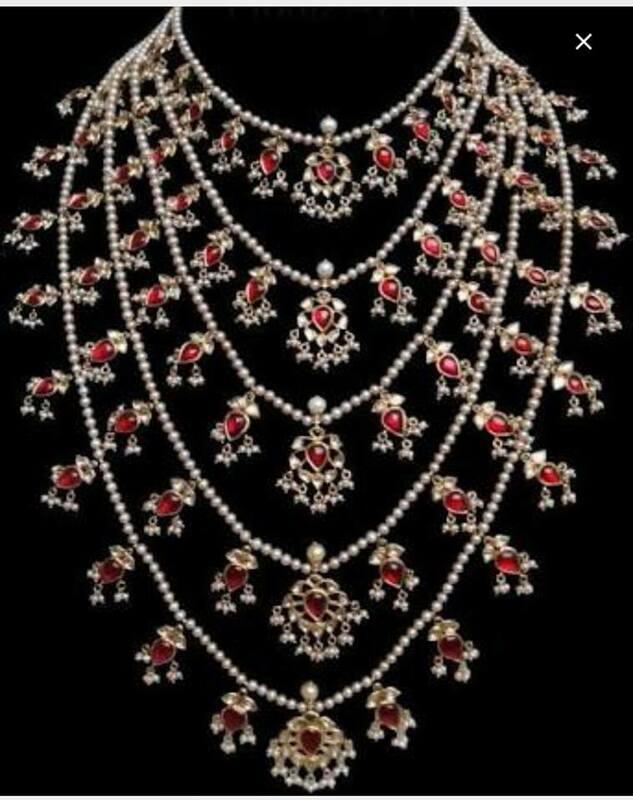 It has originated from the royal courts of Gujrat and Rajasthan situated within the Indian Sub-continent. 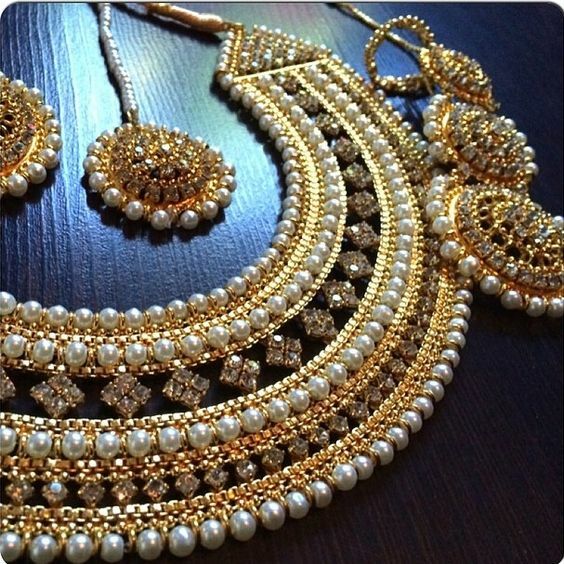 The term “Kundan” by literary definition means the perfectly refined form of gold, which is usually obtained by melting it at high temperatures. 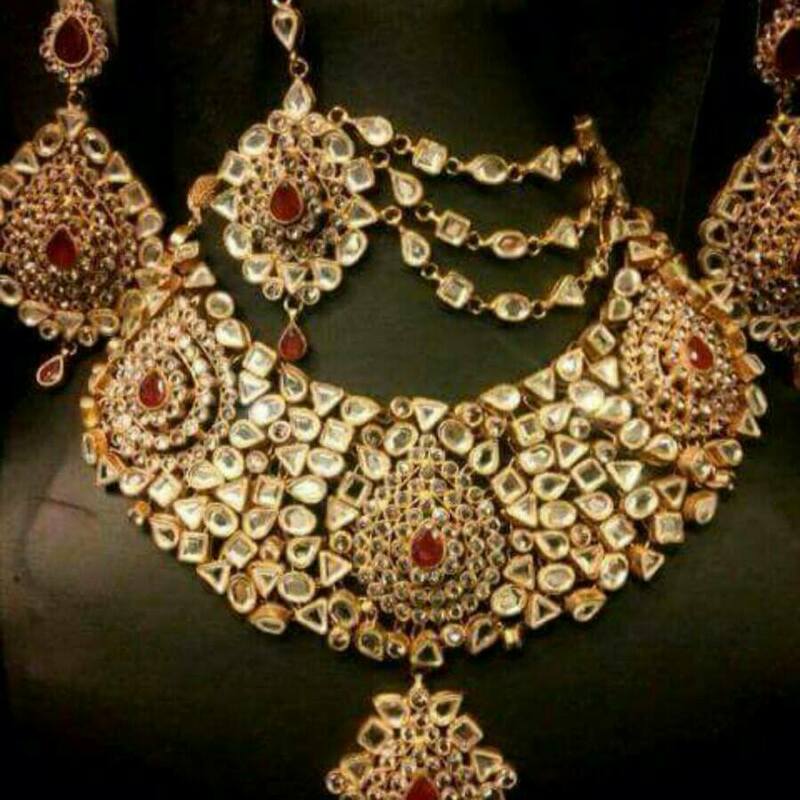 Besides gold, precious gems and stones are encrusted between the gold foils to create the magic of Kundan. 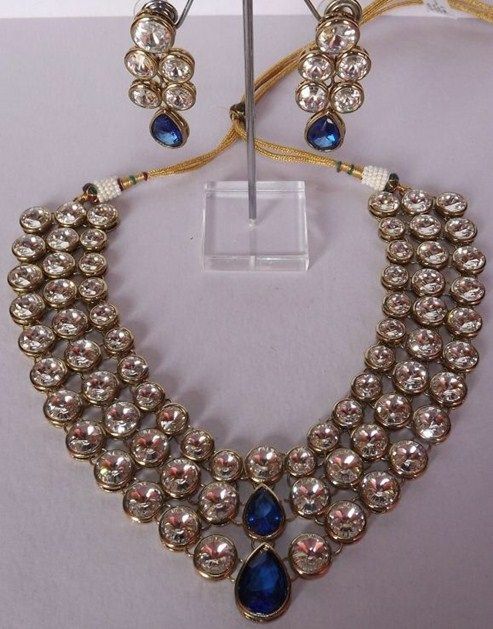 It is considered as the most ancient form of jewelry ever produced in India. 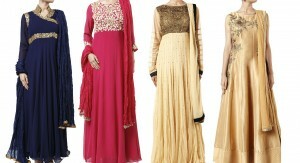 Now its designs are evolved into newer and more distinctive patterns of style. 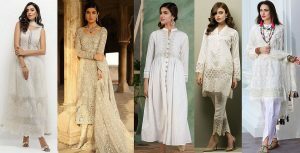 Based on its designs, you can wear it with the variety of traditional apparels, from saree to lehenga, from simple salwar kameez to gowns and frocks. 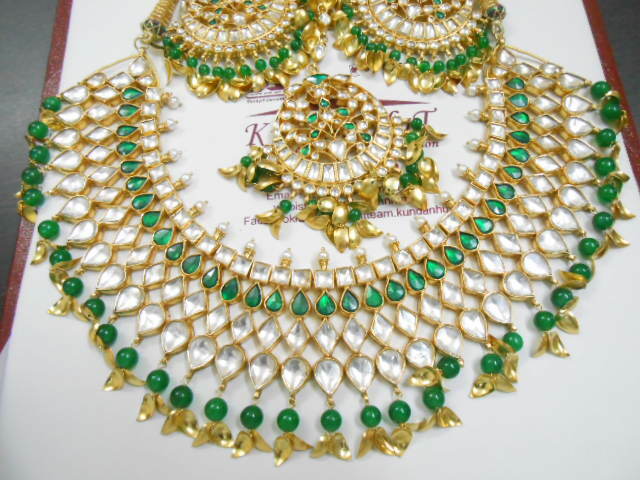 We will share the Kundan Jewellery Latest Designs! 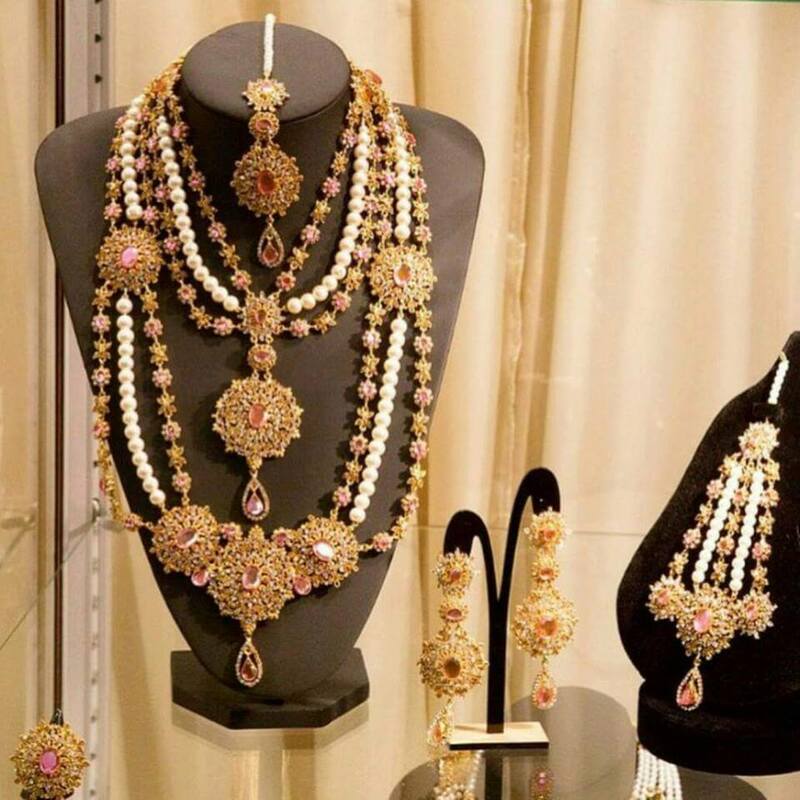 This article is about to unleash the latest trends of Kundan jewelry being used by plenty of women on the variety of traditional occasions. 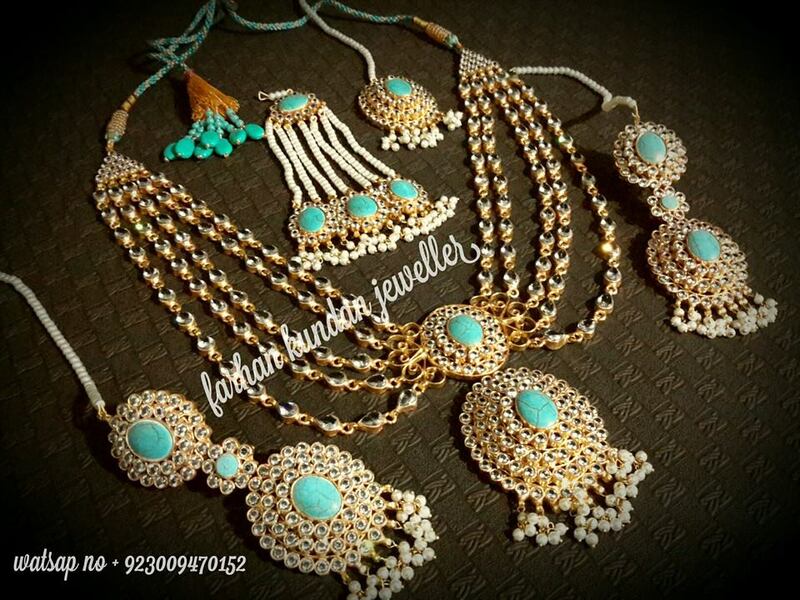 Necklaces are the true charm of every jewelry set. 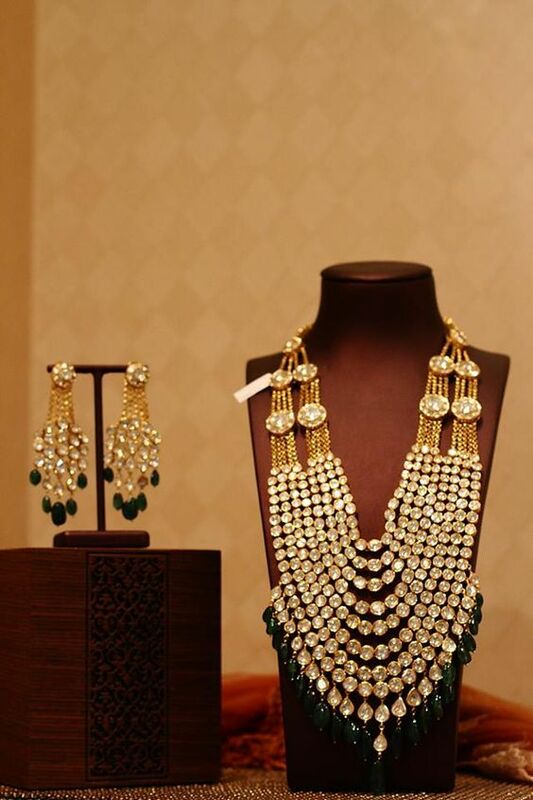 Whereas Kundan necklaces look triple the times more amazing due to the use of stones and gems. 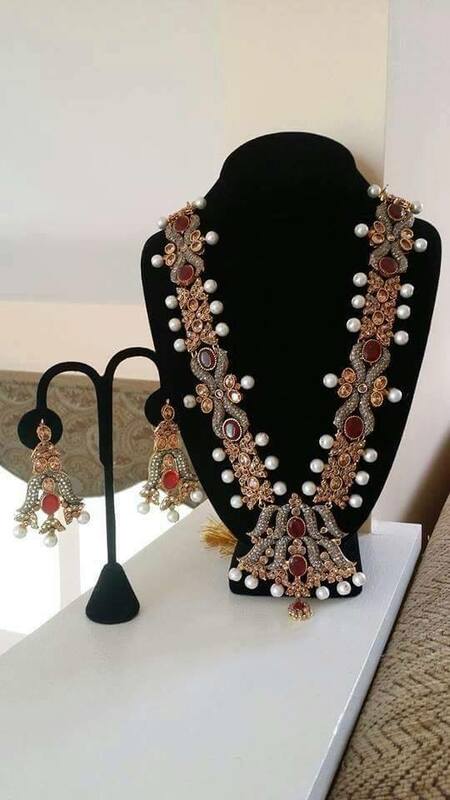 For bridal jewelry, these necklaces are designed with the heavy use of stones and gold whereas for formal collection these necklaces are kept extremely delicate and subtle. 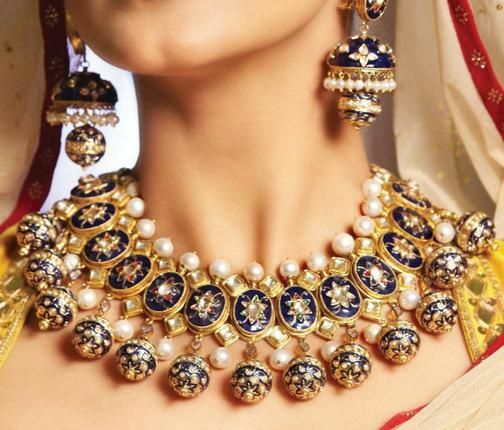 Series of stones encrusted over the semi-circular framework of gold or silver or any other metal, the colors of stones varies from white to red, green to blue and even. 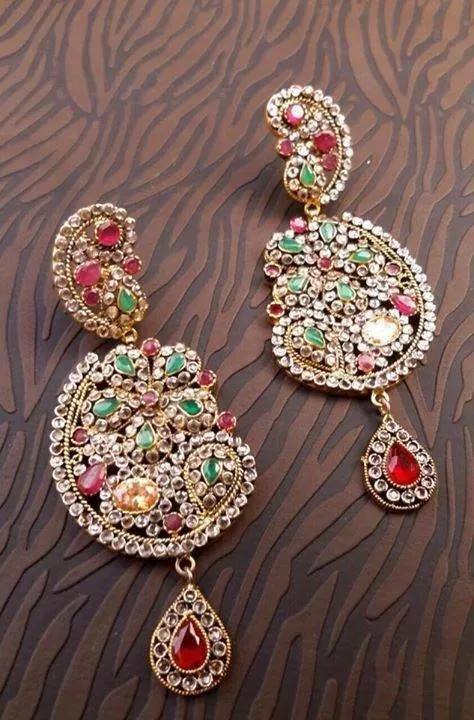 Traditional Kundan jewelry mainly had heavy and finely embellished jhumkay as a form of earrings. 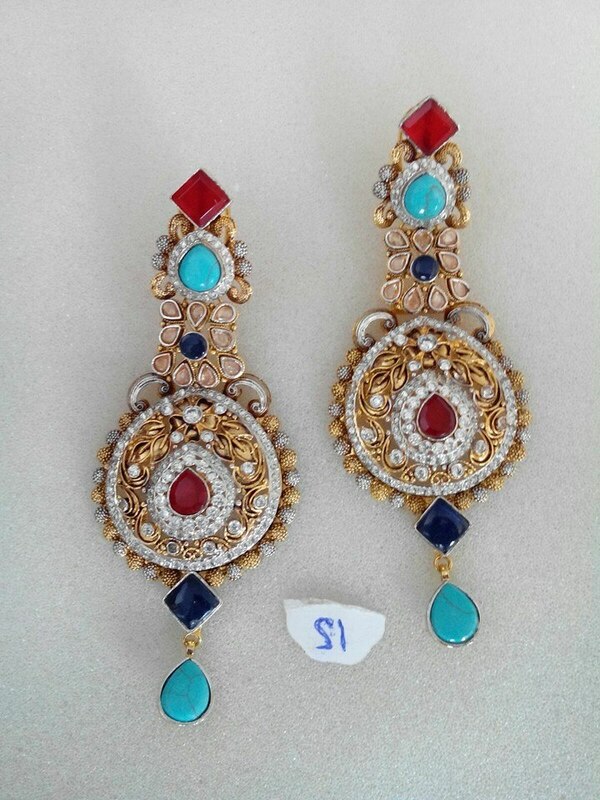 These kind of earrings are still very popular and great in demand. 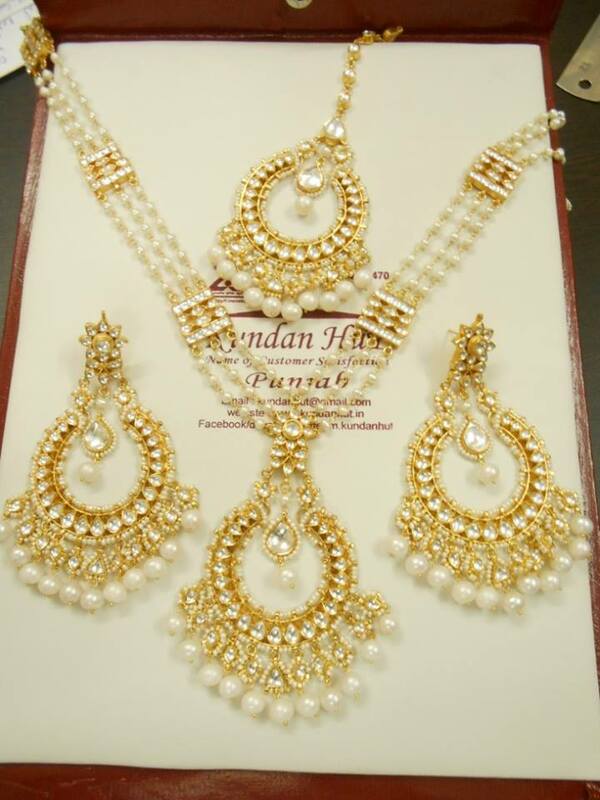 Heavy Kundan earrings are worn on the weddings while the small delicate ones are carried on casual function. 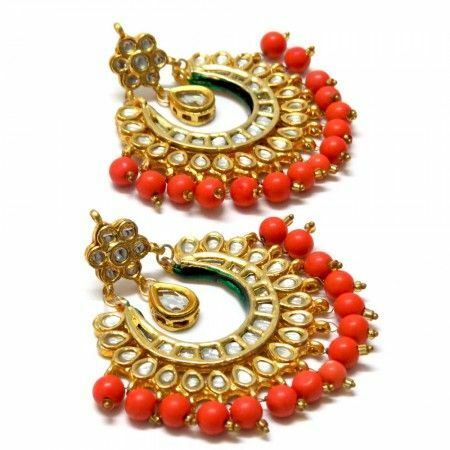 These earrings are available in the variety of symmetrical patterns, all carrying the very essential eastern touch. 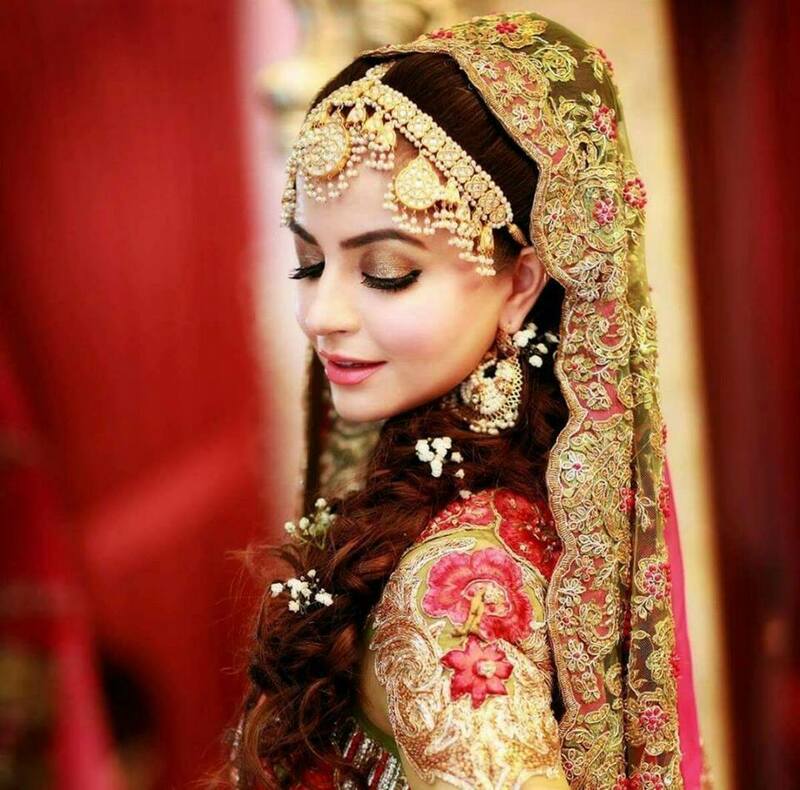 For the bridal makeover, Matha Patti has become the part of the modern trends. These are either double or single sided. 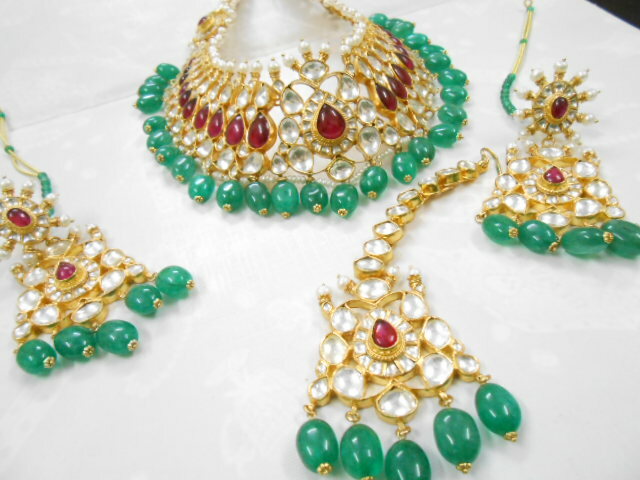 These matha Pattis are embellished with beautiful Kundan stones and pearls. 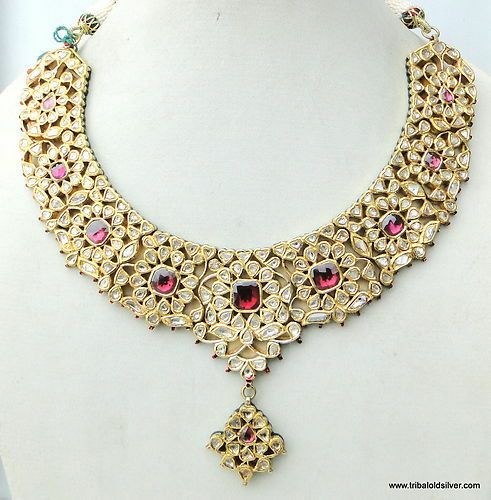 The color of gems is kept by the central gem of the necklace to create an aesthetic appeal to its overall outlook. 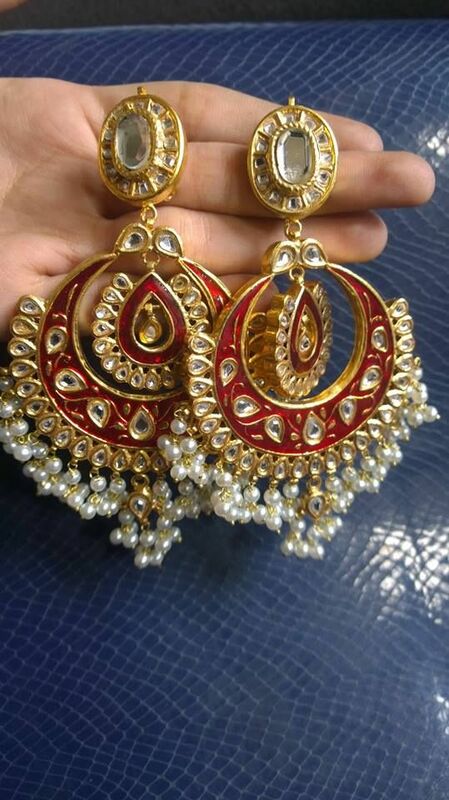 Other than Matha Patti, Jhumka for forehead is also used which usually carries on a huge central gem, pearl or stone. 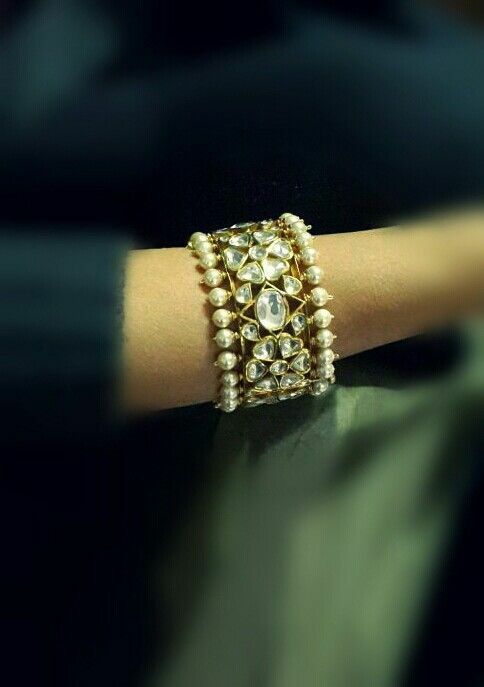 Bracelets are a “must to wear” jewelry. Women of all ages are keen to wear them everywhere. 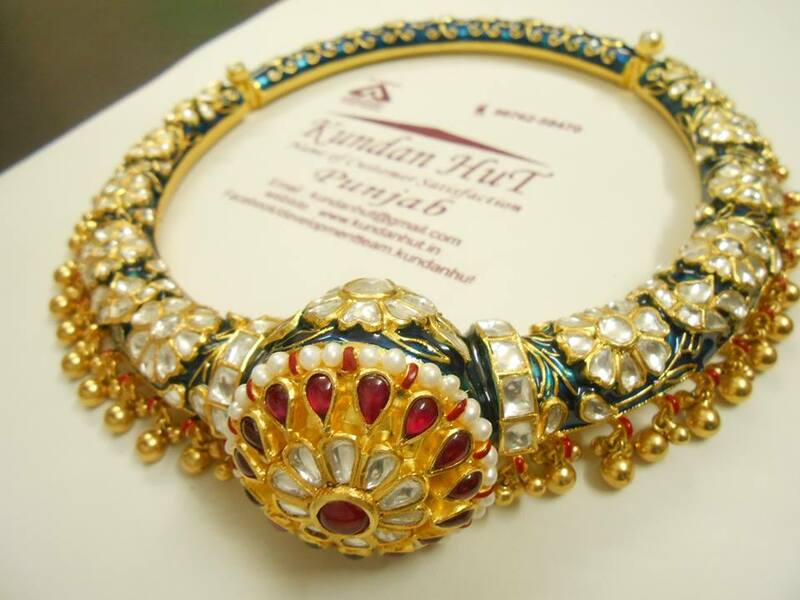 Kundan bracelets are unique by their designs and heavy adornments. These bracelets are made with great skills and expertise by engraving numerous delicate stones into a thin chain. 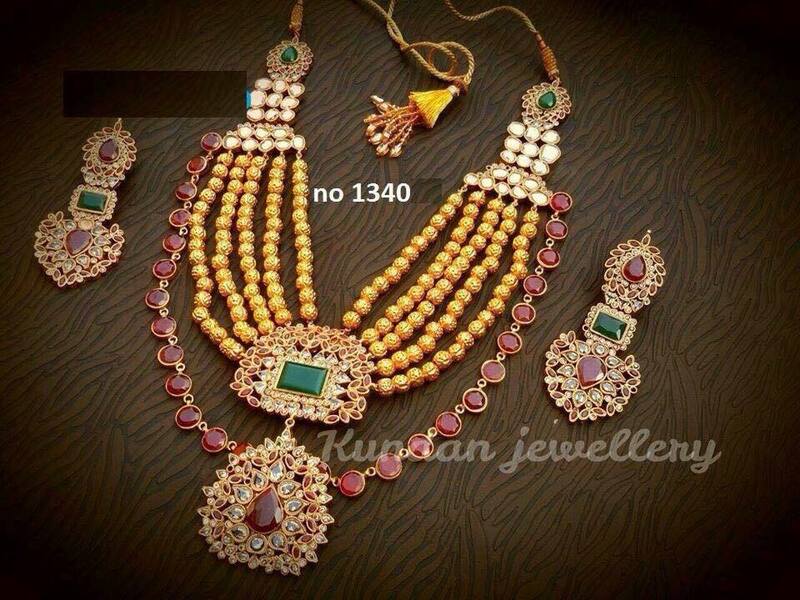 Elegance becomes absolute when the gold is crafted and molded into Kundan designs. 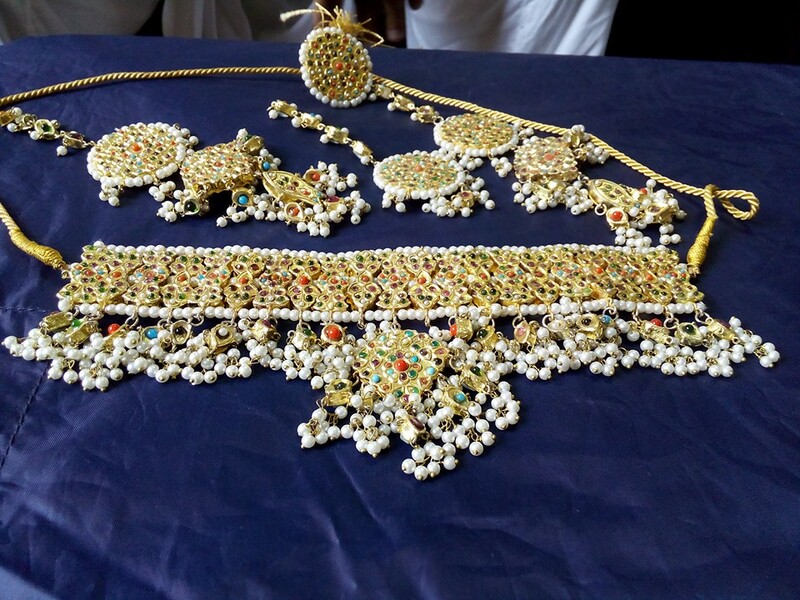 Anklets are not usually worn by all, but there is still the great demand for them in Kundan. 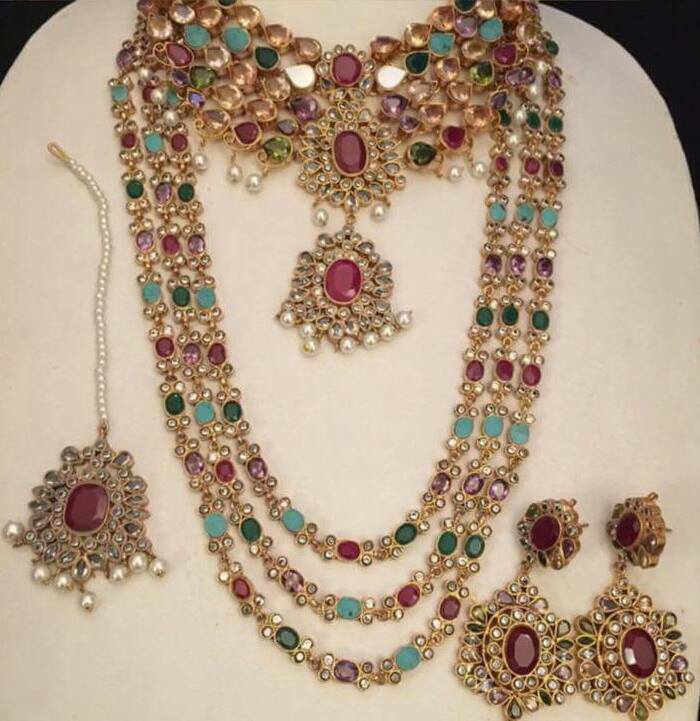 These anklets are designed with the combination of gem work that encircles the ankle along with toes finger ring. 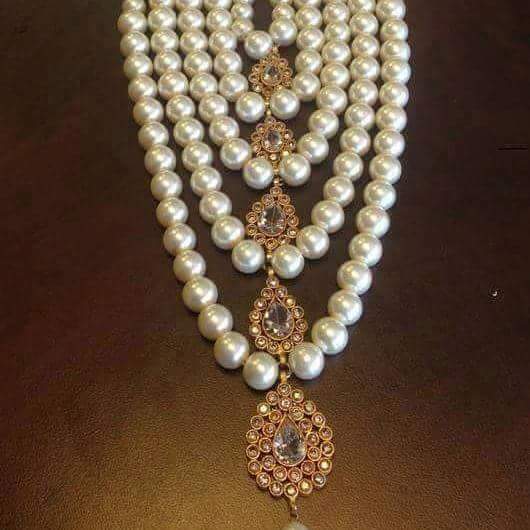 Mostly the Indian brides are seen carrying them on weddings. 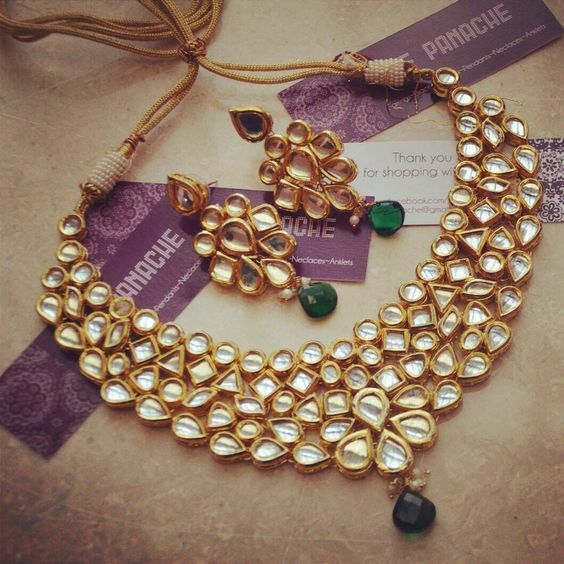 Whereas simple and delicate anklets and payals are also designed with the touch of different types of stones. 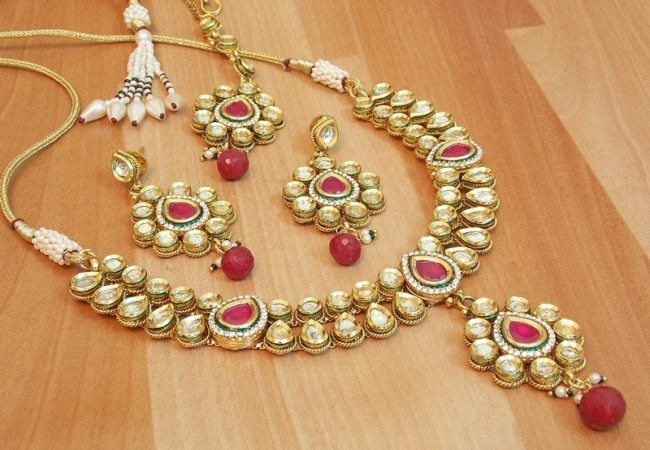 These are the refine set of jewelry pieces that are used by Asian women. 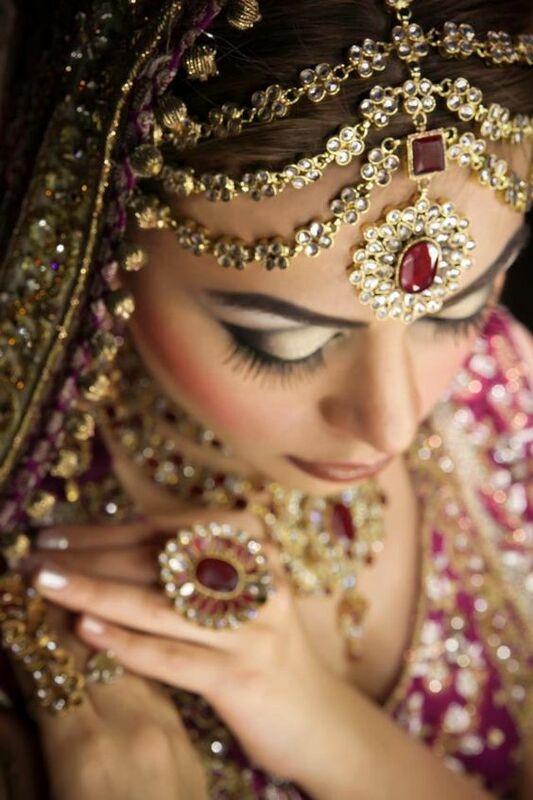 Rings are very famous and well-liked by the south Asian women. 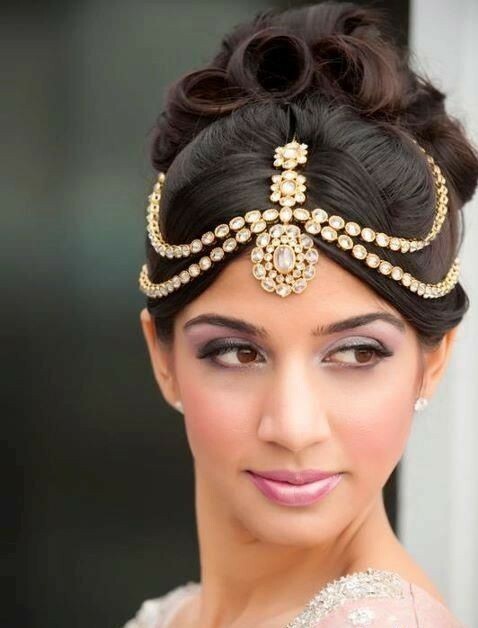 Beautiful stones are embedded in different ways to style the perfect rings. Usually broad rings are preferred. 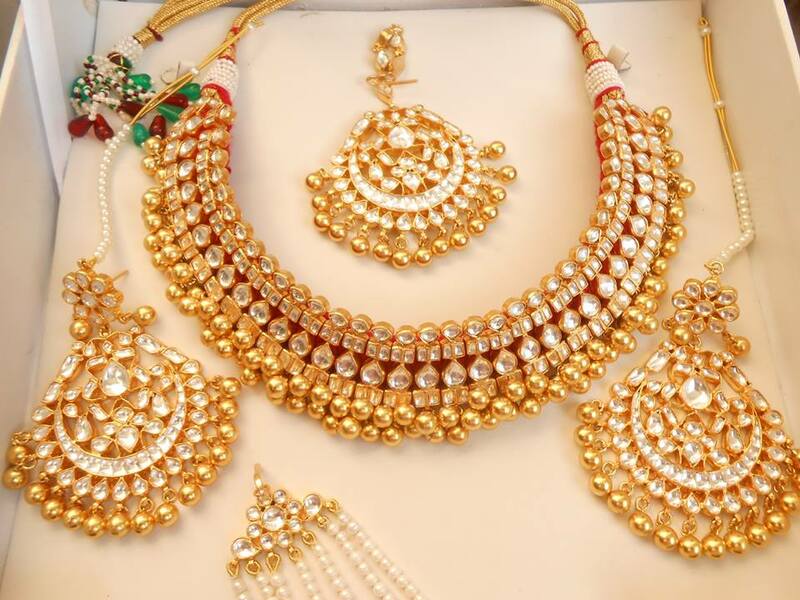 Small stonned and kundanwork rings are also very famous among women. 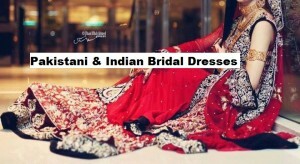 Here below i have posted some formal and bridal designs. Have a look on them; i hope you will love them.